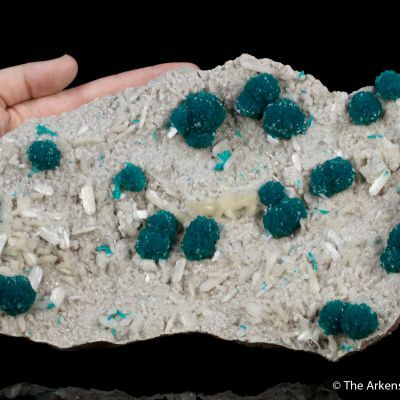 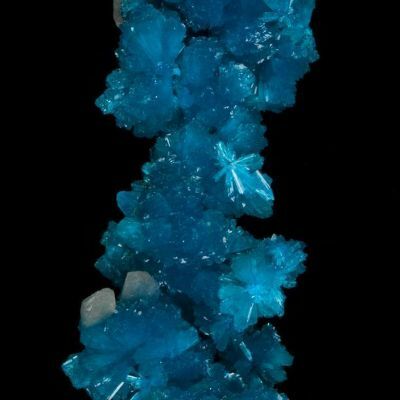 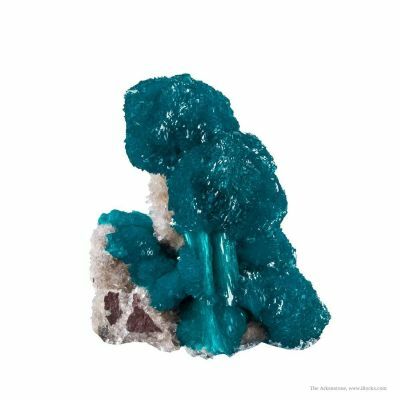 This cavansite cluster exhibits a rare stalactitic form and appears to be a floater, complete even at the bottom where it has crystallized around the base. 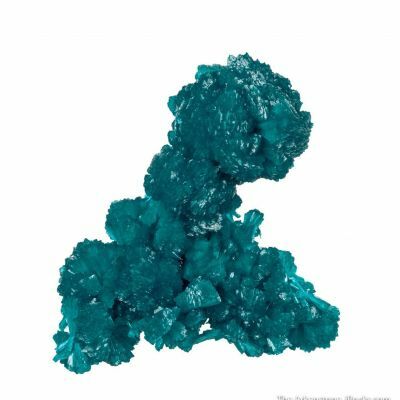 The luster is vibrant, it is translucent, and exhibits a rich, teal blue color. 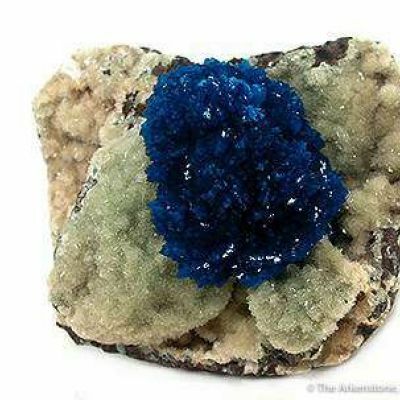 The largest cluster is 1.5 cm across. 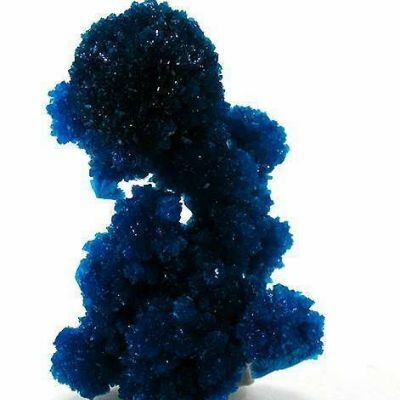 As an added bonus, the whole piece is covered in minute, colorless, stilbite crystals. 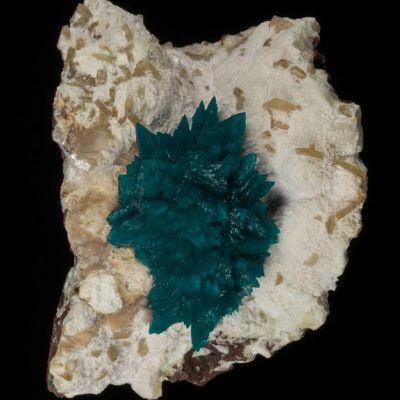 BEAUTIFUL and unusual cav specimen!